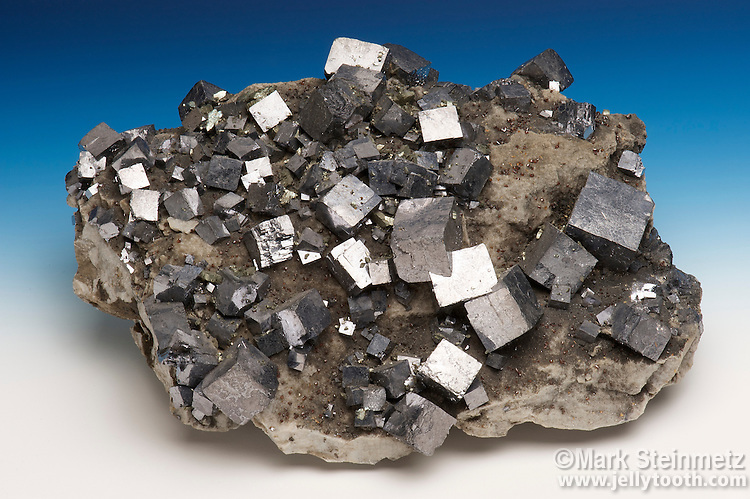 Cubic galena crystals, with marcasite and sphalerite on dolomite matrix, Joplin, Missouri, USA. Galena is the chief ore of lead. Its shiny metallic luster is striking.